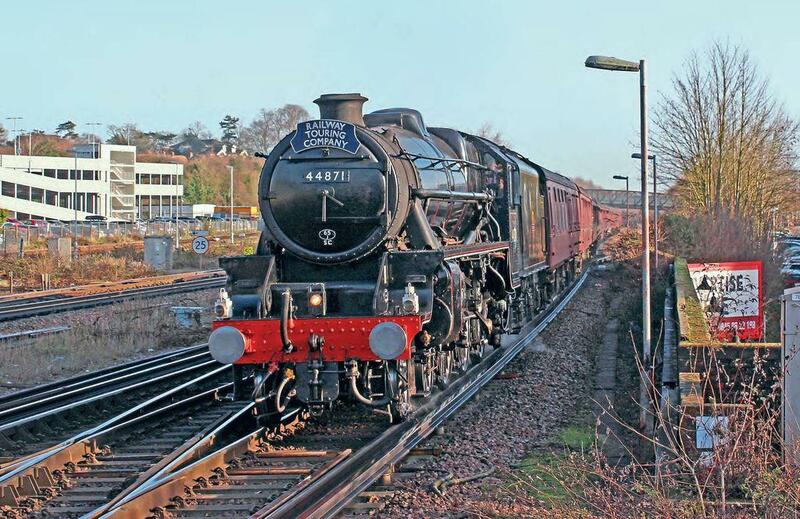 IT HAD been some years since I had a run on the main line behind Ian Riley’s ‘Black Five’ No. 44871, so I decided to join the Railway Touring Company’s ‘Sherborne Christmas Carol’charter for a short spin from Basingstoke to Salisbury on Tuesday, December 11. Once again, South West Railway was in meltdown – this time due to signaling problems at Woking – so I wasn’t very hopeful that the steam charter would be able to keep its non-stop 43 minute path for the 35.79 miles from Basingstoke to Salisbury, which would be a tough proposition anyway with a 60mph limited loco.